Australia's NORTHLANE has released its fourth album, "Mesmer". "Mesmer" appeared with no forewarning on digital services at 8 a.m. AEDT and is also available on CD, LP, and tape from all good music stores. "Mesmer", NORTHLANE's fourth full-length release, is a triumph — the band's most organic-yet-precise album yet. it covers familiar topics but renders them in a new way, at once paying heed to the band's heaviest roots and looking forward to an unwritten future. Recorded throughout September 2016 in New Jersey with acclaimed producer David Bendeth (BRING ME THE HORIZON, PARAMORE, A DAY TO REMEMBER), this is NORTHLANE's defining statement. And presented directly to their fans in such an unorthodox and exciting manner, "Mesmer" will echo worldwide through 2017 and long beyond. "Through determination, hard work, sacrifice, and a bit of luck, we are able to travel the world taking our music to fans both old and new. We're able to spend time crafting the music we want to hear with the benefit of not having to leave the studio early to go and work a job. To an artist, these are real luxuries. We appreciate them more than anything and we're in the position of being able to do this because of you — our incredible fans who continue to support us. You free us to be the artists we want to be. "This is our way of rewarding our fans for everything they've given us. What our music means to you is what it means to us. Art is an experience, and to us it reserves no room for competition, and the only accolade that matters to us is the place this holds in your heart. "Releasing 'Mesmer' in this way has been right for us at this moment in time. We have grown immeasurably as people and as a band through the toughest recording process we've ever endured. We've been tested every step of the way and have come out the other side with something we are truly proud of. We didn't want to keep it from you a moment longer than we had to. We felt we owed it to this album to try and think creatively about every aspect of the way people would experience 'Mesmer', like a gift from us to you that is being unboxed. We wanted to make everyon's discovery of this moment special." The rest of 2017 will see NORTHLANE take "Mesmer" to all corners of the globe, starting with a tour of South East Asia and an appearance on Hammersonic (Indonesia). After that, NORTHLANE will return to Australia for a headline tour that wraps up with the band playing The Big Pineapple Festival as one of the main acts alongside BIRDS OF TOKYO, THE VERONICAS and PEKING DUCK. NORTHLANE will hit international festival stages throughout the rest of 2017 with appearances on the main stage at Download (U.K.) and Hellfest (France). The band will also appear at Vainstream Rockfest (Germany), Jera On Air (Netherlands), Graspop Metal Meeting (Belgium), Dissonance (Italy), Rock For People (Czech Republic), Resurrection (Spain), and many more. "Mesmer" is available now via 24Hundred, iTunes, and all streaming services. 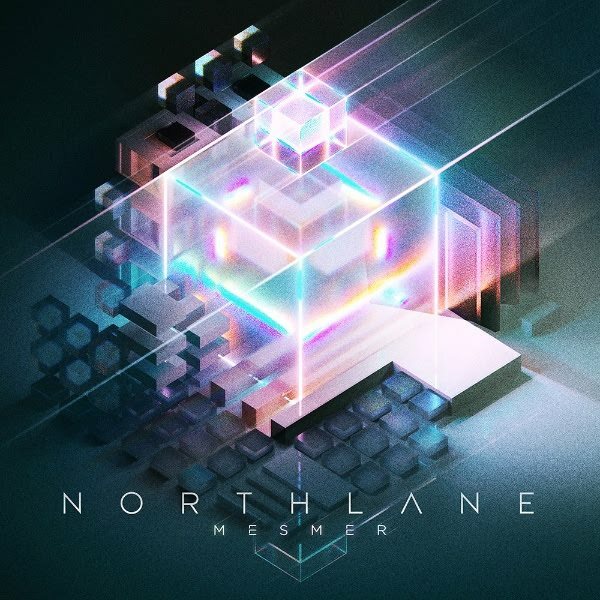 Fans can also purchase "Mesmer" as well as exclusive merch at NORTHLANE pop-up shops + signing events in Melbourne (24Hundred) and Sydney (Utopia Records) this weekend. The stores will stocked extremely limited edition vinyl and merchandise exclusive to each city. 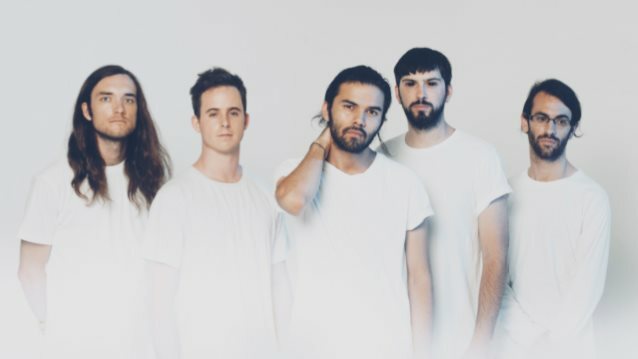 NORTHLANE's last full-length studio release was 2015's "Node". A split three-track "Equinox" EP with IN HEARTS WAKE — featuring all ten members of both bands — came out last year. "Node" was the first NORTHLANE to feature vocalist Marcus Bridge, who joined the band after the departure of longtime frontman Adrian Fitipaldes. Adrian left the band unexpectedly in 2014, citing health issues.